It's hard to believe because it seems like we were just out in the woods hunting elk but if you want a chance at getting a tag for the 2000 elk season in Wyoming you have very little time left. 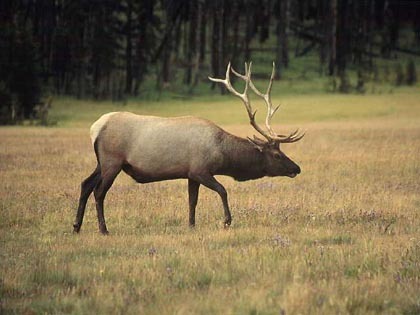 Nonresident elk applications must be received at the Wyoming Game and Fish Departments Cheyenne office by 5 p.m. on Jan. 31. You have until March 15th to apply for deer and antelope applications but you have only this week to take care of the paperwork for applying for that elk tag. You can get applications on-line at the Wyoming Game and Fish website. If you are thinking about using a guide and want a quality hunt, I would recommend Power Horn Outfitters out of Ranchester, Wyoming. Dan and Darwin Powers have some great private land to hunt and they are also really nice folks, the kind you would want as hunting buddies. To see if they have any openings left, make a quick call to Dan Powers at (307) 655-9379 or Dawin Powers at (307) 655-9472.